Award-winning wine produced with single estate grapes grown in the famous chalky soil of the Surrey Hills. 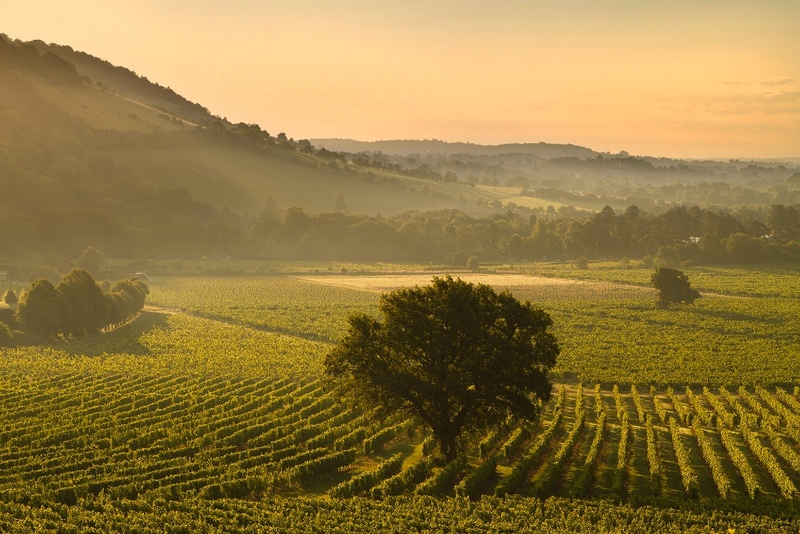 At Denbies Wine Estate our single estate grapes are grown in the Surrey Hills on its famous chalky soil, to produce award-winning wine. 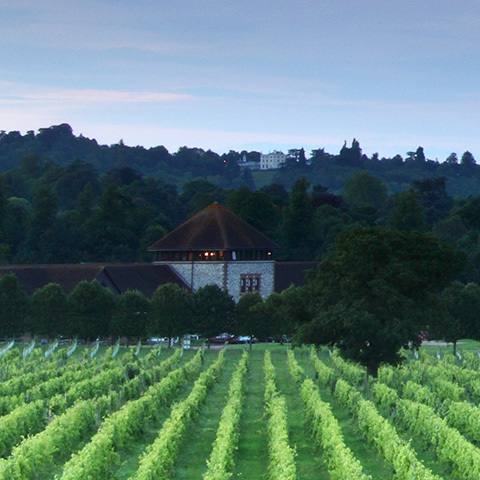 Denbies English Vineyard, which is situated in Dorking overlooking Box Hill in the heart of the Surrey Hills, is the UK’s largest single estate vineyard producing sparkling and table wines. Our wine is made only from single estate grown grapes, so the quality is controlled from the vine to the bottle. 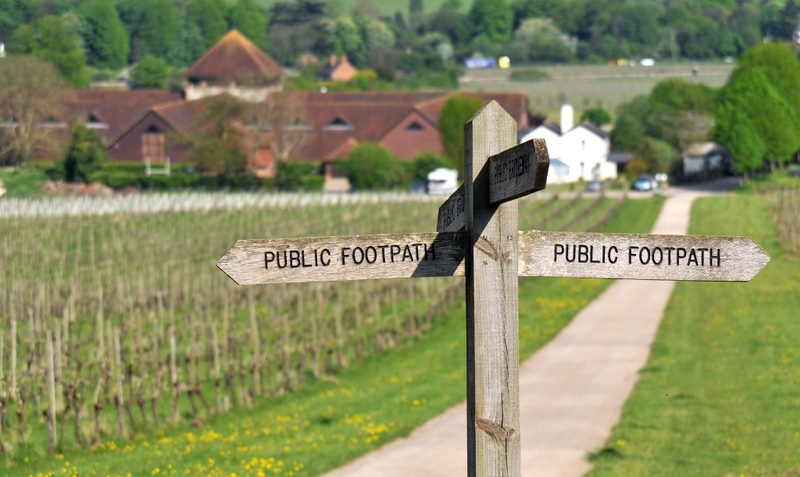 Whether you are visiting Surrey or live locally, have an interest in wine or are simply interested in a great day out, the beautiful 265 acre Denbies estate is well worth a visit. We host an array of events and exhibitions throughout the year including art shows by local groups, family themed fun and evening occasions. 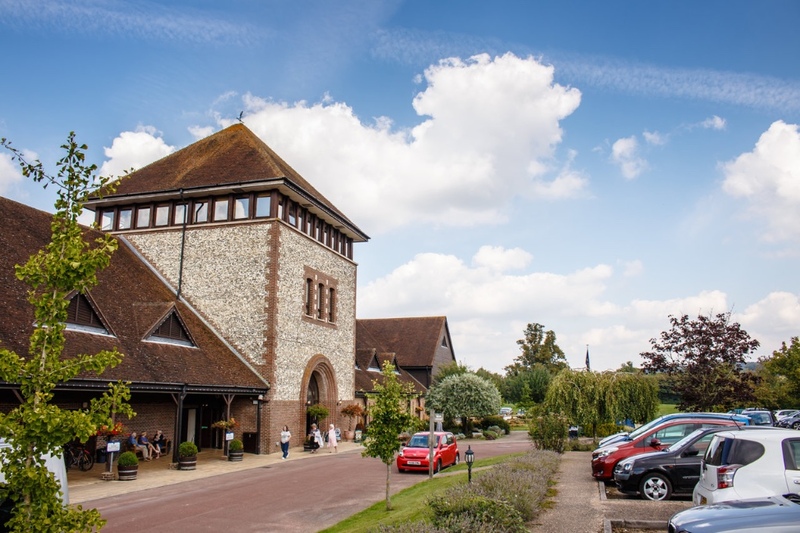 Our flint-clad chateau-style building hosts two restaurants; The Conservatory which now serves a Surrey Hills Breakfast every weekend between 9.30am – 11am, and the 3rd floor a la carte Gallery Restaurant, which features a menu based on produce sourced primarily from the local area and boasts panoramic views over the vineyard. 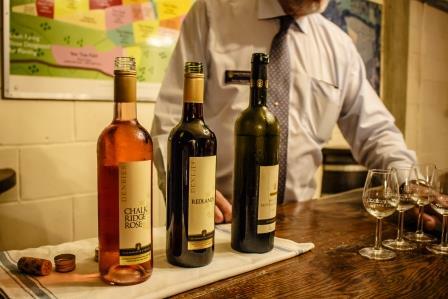 Denbies is an all weather destination with the Indoor Wine Experience tours operating all year round, while the Outdoor Vineyard Train runs daily from March-October. 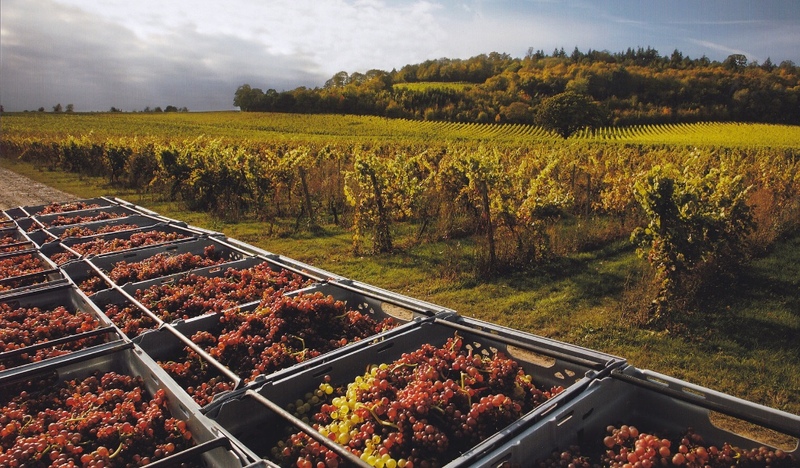 The tours provide a chance to find out more about England’s largest vineyard which produces some 400,000 bottles of fine wine a year. 360° ‘virtual vineyard tour’ starting in the unique circular cinema with the 20 minute surround vision film. Winery walking tour passing through the working winery with a full commentary from a Denbies wine tour guide. 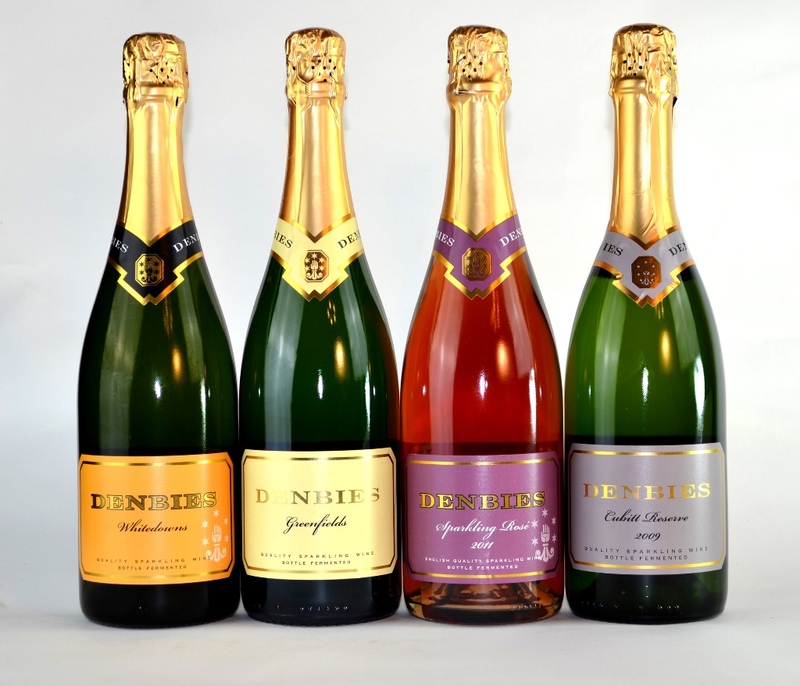 Cellar tasting in the atmospheric Denbies cellars where you will be guided through a tasting of Denbies’ award-winning sparkling wines.